Airline Finnair and the operator of Helsinki airport have created a 13-minute short film to position themselves as the crossroads between East and West. The film is entitled ‘East and West Side Story’ and is directed by Swedish director Johan Storm and Korean director Wookie. Both directors give their own point of view on the same story, which aims to illustrate the concept of meaningful encounters. It has been produced by B-Reel Films and the idea was created by Mirum agency and TBWA\Helsinki. The leading roles are played by Scandinavian actor Anne Bergstedt, who has starred in Boardwalk Empire, and Korean Jae Hoon. Katja Siberg, senior vice president of marketing, communications and customer experience at Helsinki airport operator Finavia, said: "Helsinki Airport is a true crossroads for east and west. "Travelling unites people and cultures, and increases understanding towards each other. A movie is a natural way for telling stories about these encounters." 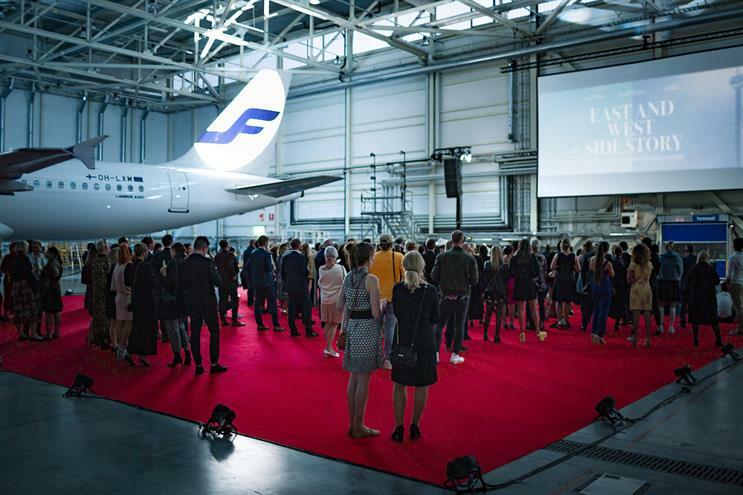 The movie was unveiled at a premiere held in an aircraft hangar at Helsinki Airport yesterday (6 September). It represents the third event of the ‘Match Made in HEL’ concept series, a joint marketing campaign by Finnair and Finavia. In 2015, the campaign turned Helsinki Airport into a skate park for professional skateboarders, and last year they held a fashion show featuring designers from Europe and Asia on the runway. Johanna Jäkälä, the vice president of brand, marketing and customer loyalty at Finnair, said: "Travel enriches people’s lives and opens new perspectives. The film is about how stories change when you put yourself in someone else’s shoes, but also about the need for personal space. Something that is very Nordic." Finnair connects 19 destinations in Asia and seven in North America to over 100 destinations in Europe via its Helsinki hub.